Apply for a mortgage anytime and anywhere. Save your application to complete at a later time. Calculators to help you make the best decition. Enter your card information and click Next. The next screen will allow you to read and accept the terms and conditions. 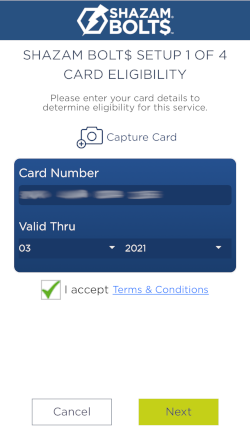 After accepting the Terms and Conditions click Next. 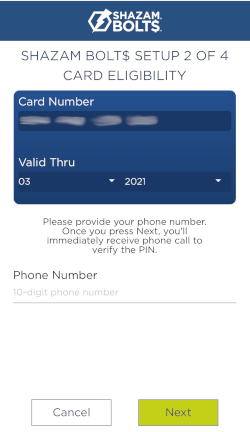 To verify your card you must enter your phone number to receive a PIN verification phone call. After clicking Next you will receive a phone call to verify your PIN. Follow the voice prompts and enter your four digit PIN followed by the pound (#) key. After the PIN verification is completed you will be taken to the User Profile page. Fill out the user information needed to create your profile and click next. The last page is information needed to complete your User Profile. 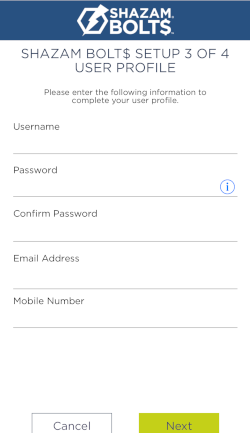 Complete the remaining user profile fields to complete your enrollment.